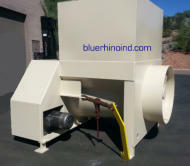 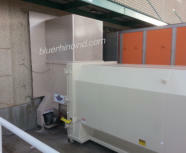 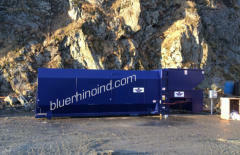 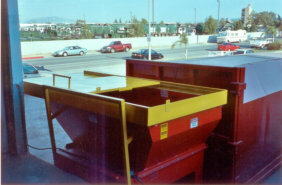 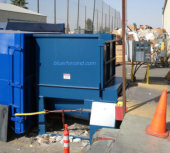 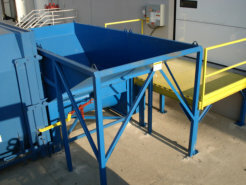 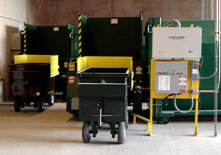 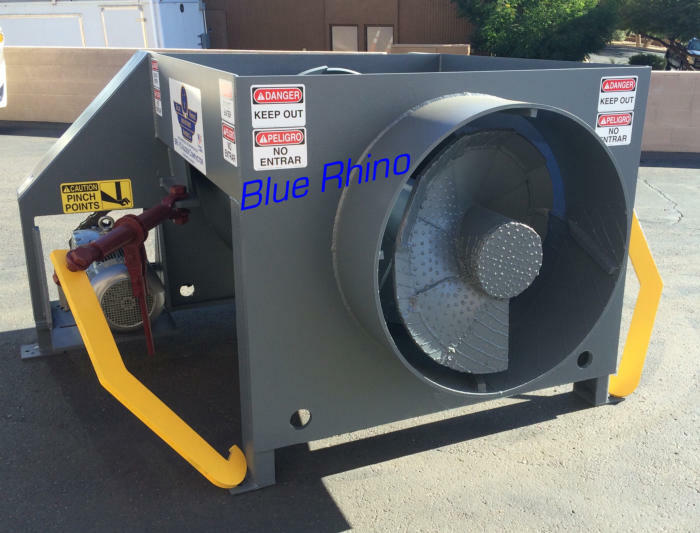 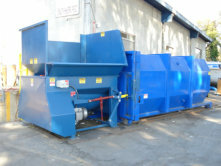 Auger Compactors are ideal for volume reduction of dry waste and recycle-ables. 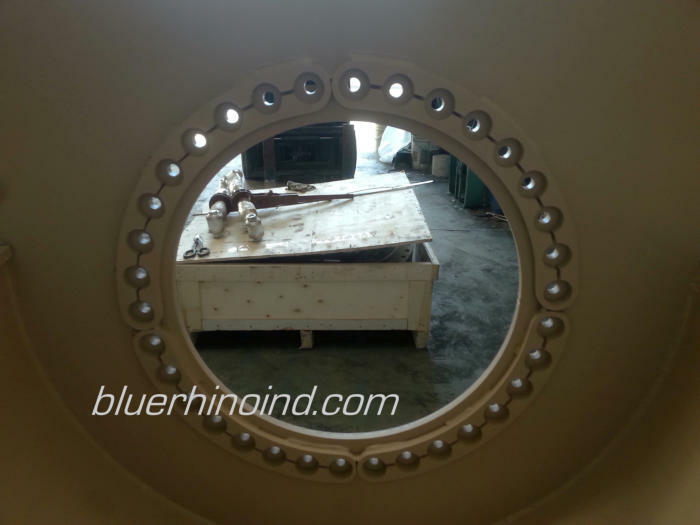 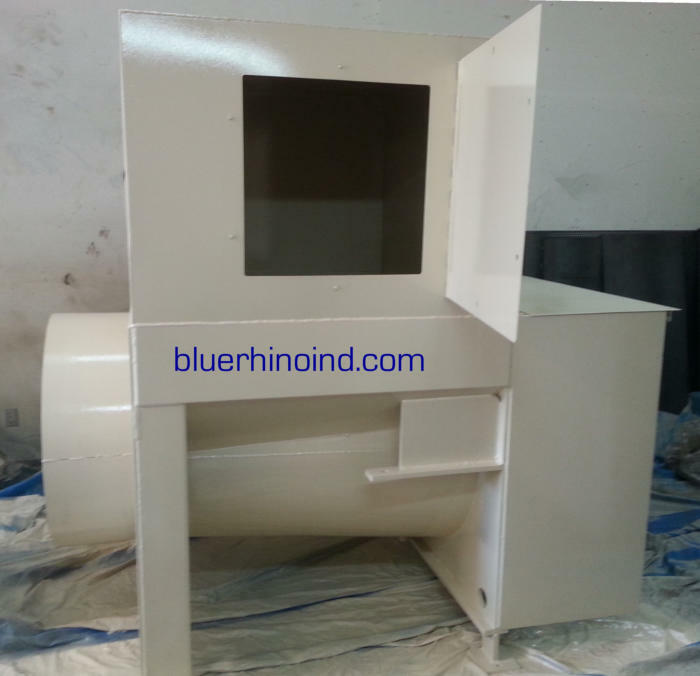 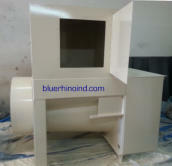 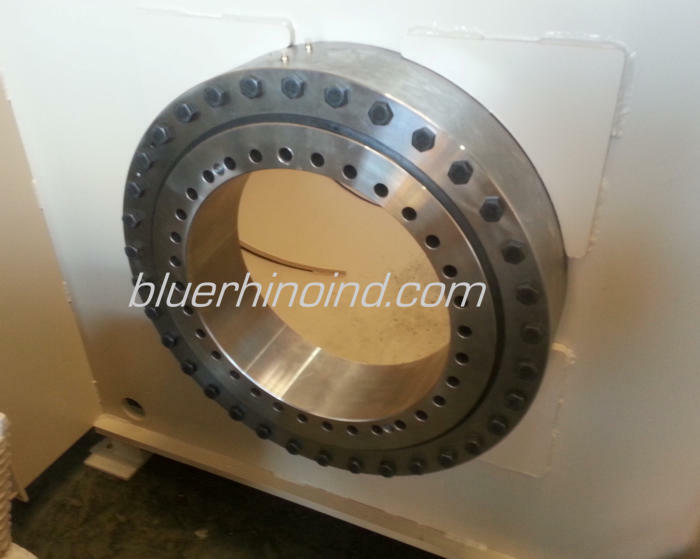 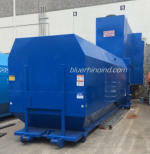 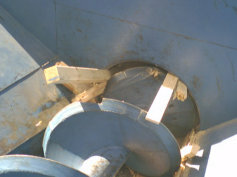 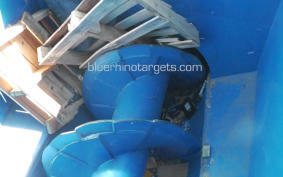 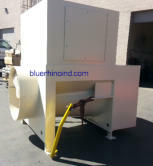 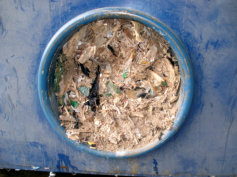 In particular, Auger Compactors are very well suited to cardboard recycling. 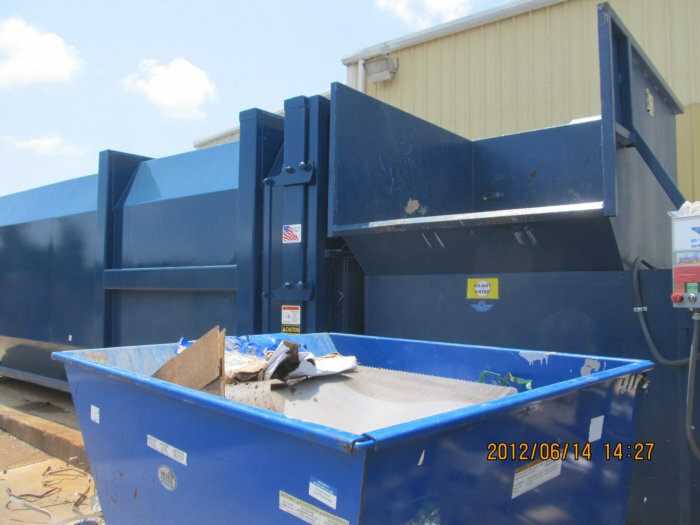 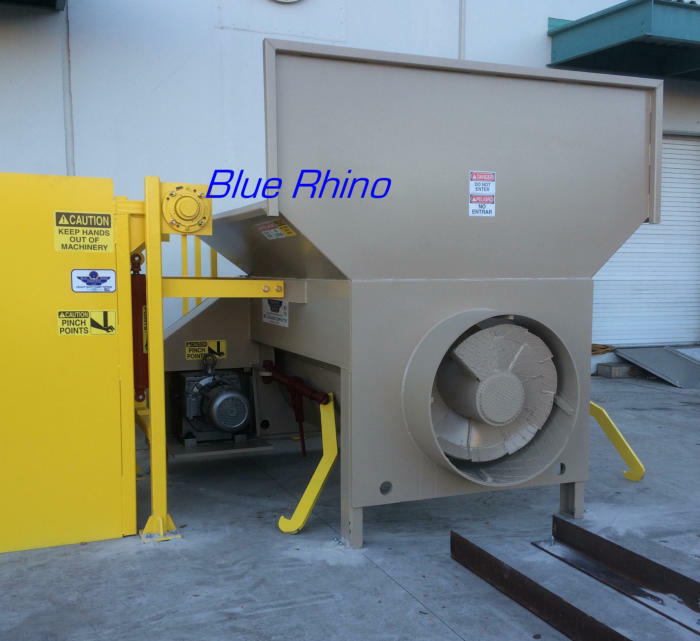 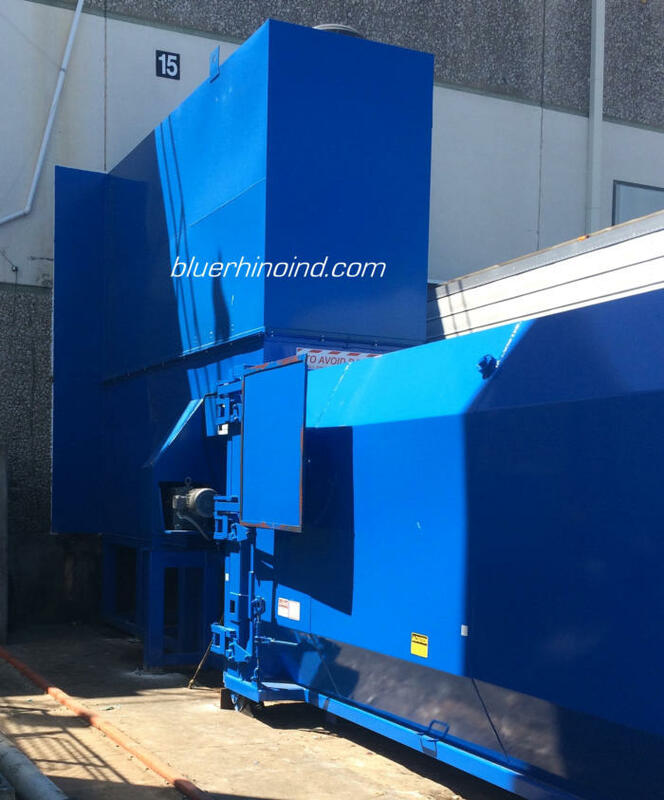 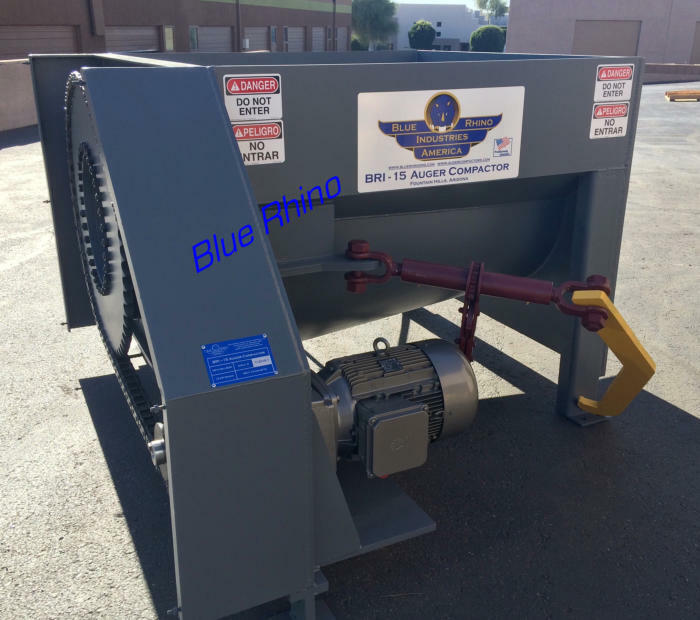 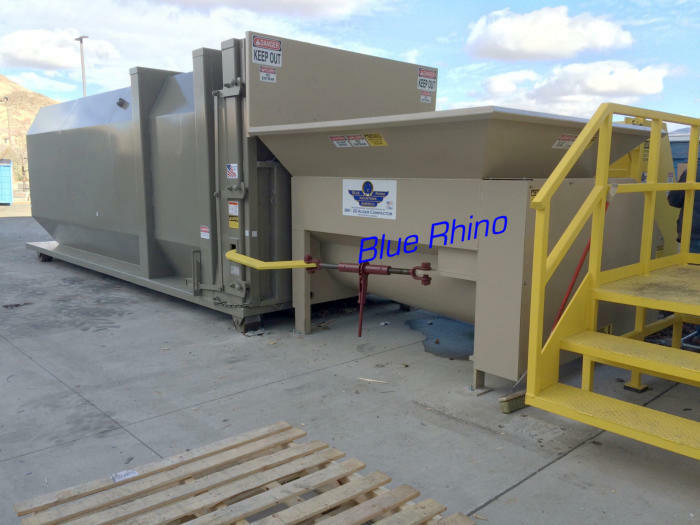 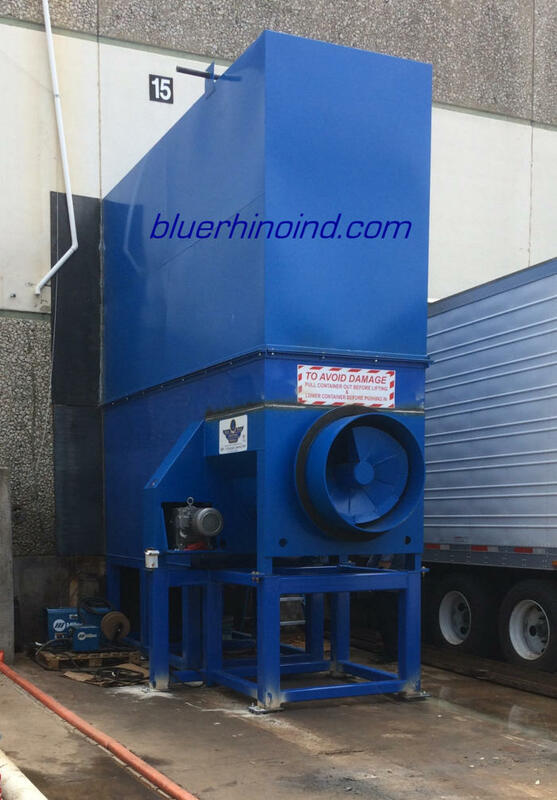 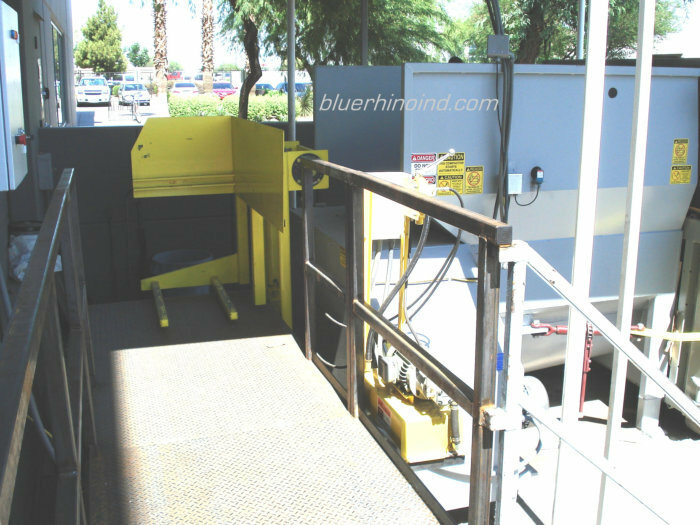 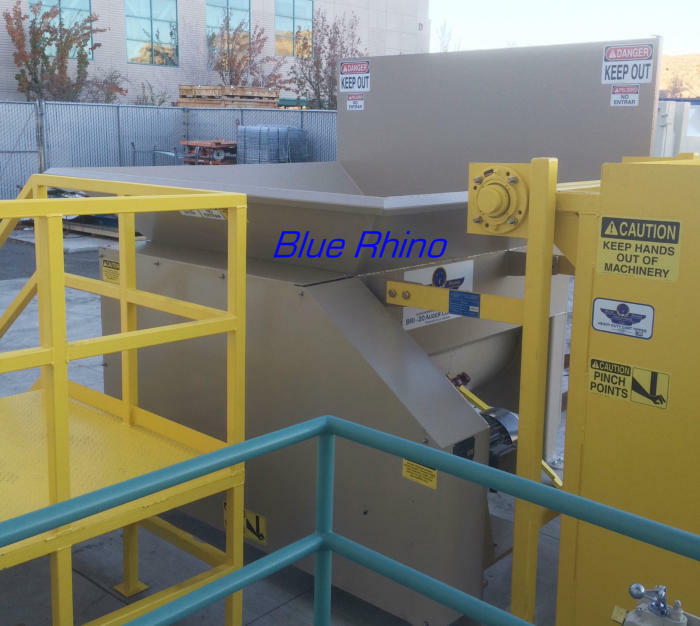 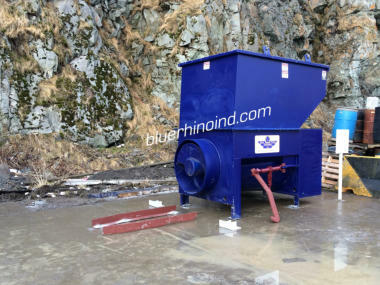 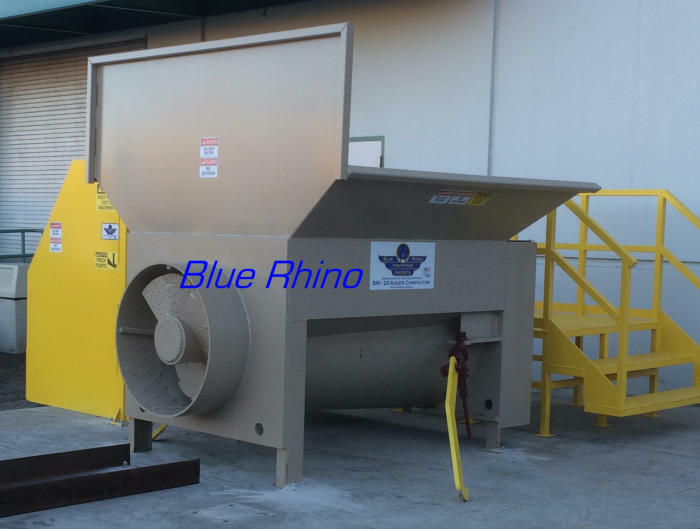 Auger Compactors offer many benefits over hydraulic ram compactors for cardboard recycling. Auger Compactors operate with continuous forward packing power, no back and forth cycling like a ram compactor or baler. This eliminates the “cycle time” of a ram machine, which consists in large part of wasted time while reversing the ram. 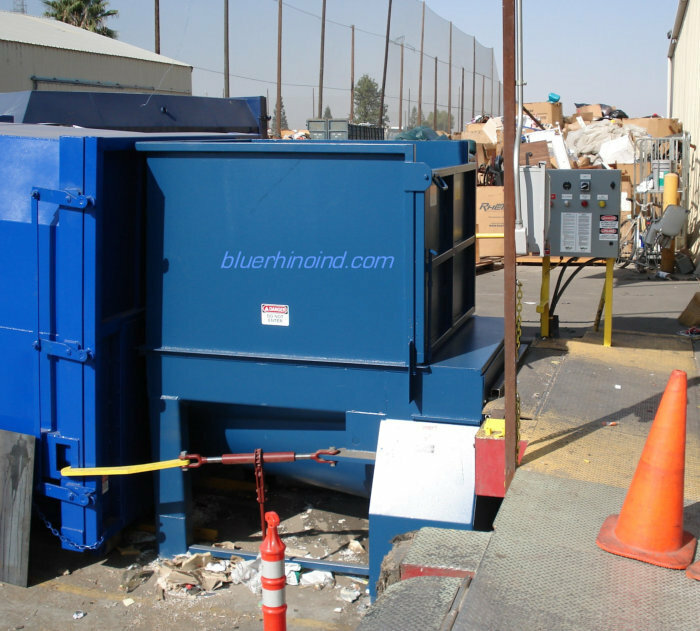 With our Augers, the Compactor can be fed while the screw is rotating, and you never need to clear the screw or chamber before adding more cardboard or trash. 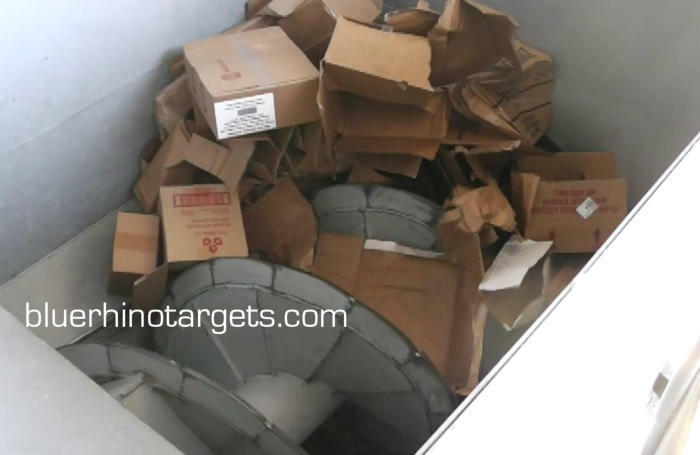 This makes your cardboard recycling program more efficient. 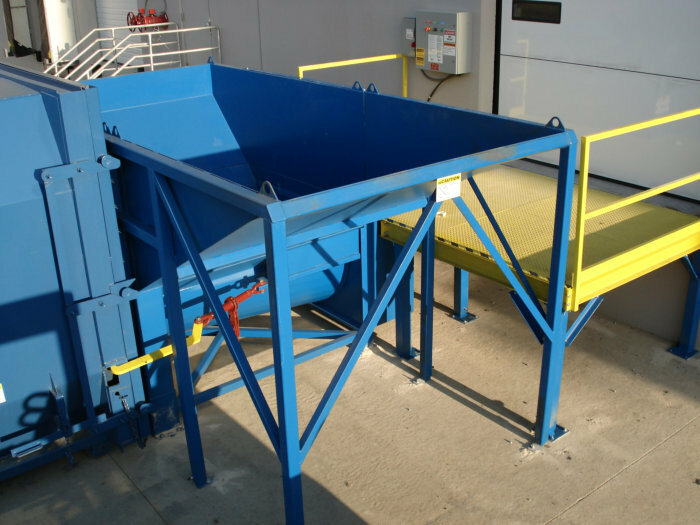 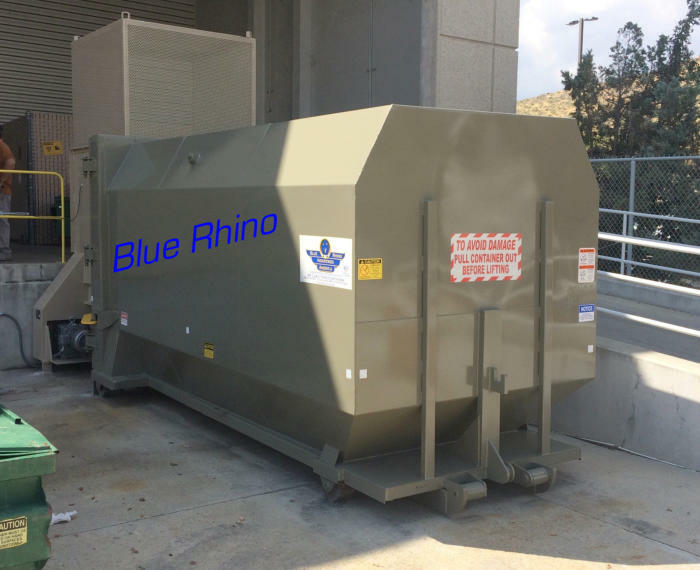 Our Auger Compactors will also achieve greater container payloads, saving you money on your waste hauling or increasing your cardboard recycling revenue. 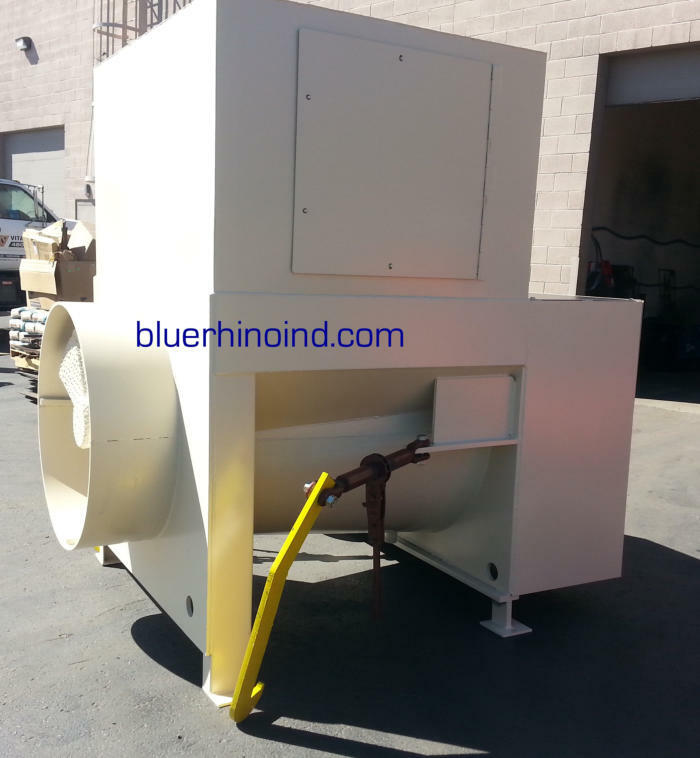 Auger Cardboard Compactors require substantially less labor to operate than a manual-tie horizontal baler at a comparable cost. 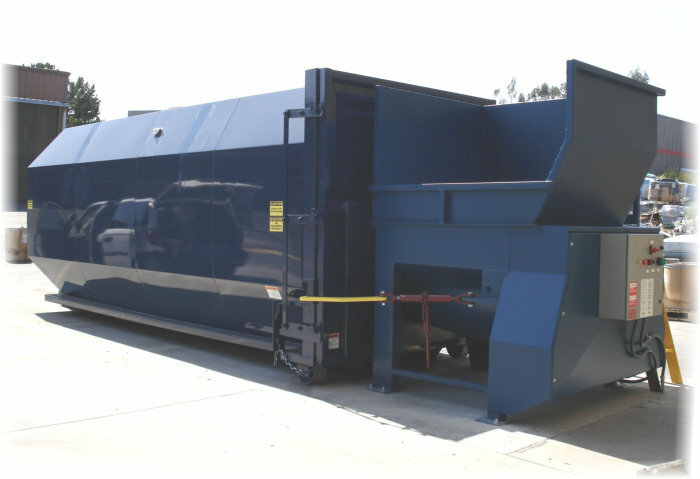 Augers are substantially less expensive than an auto-tie baler, while providing the same level of automated cardboard recycling. 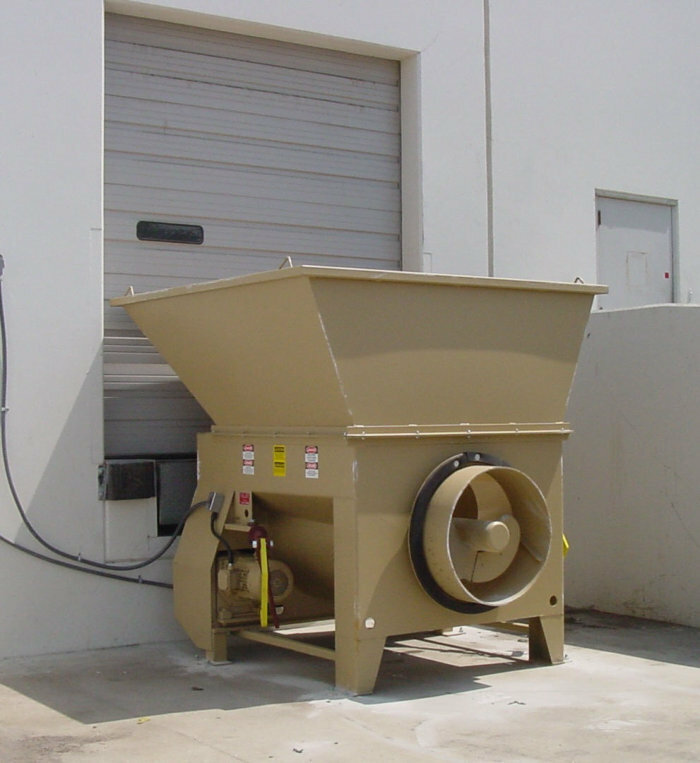 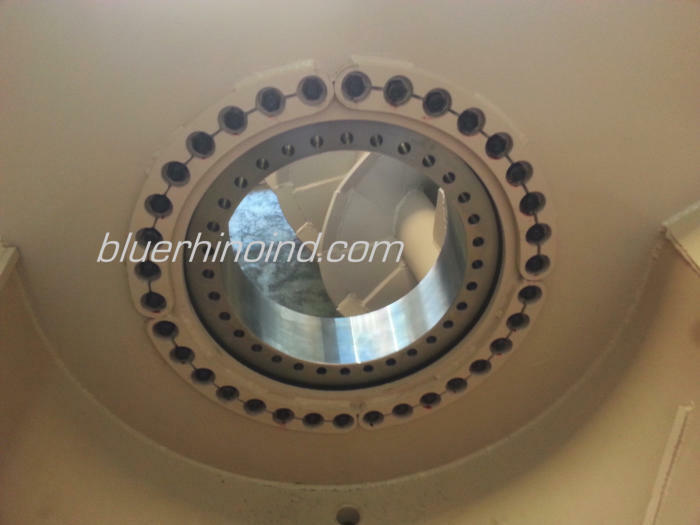 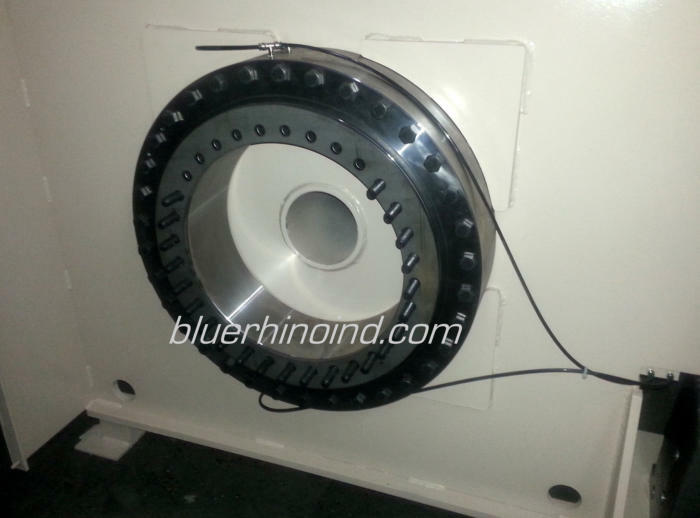 The all-electric drive-train of an Auger Compactor requires less maintenance, and is cleaner than, hydraulic baling systems and ram compactors. 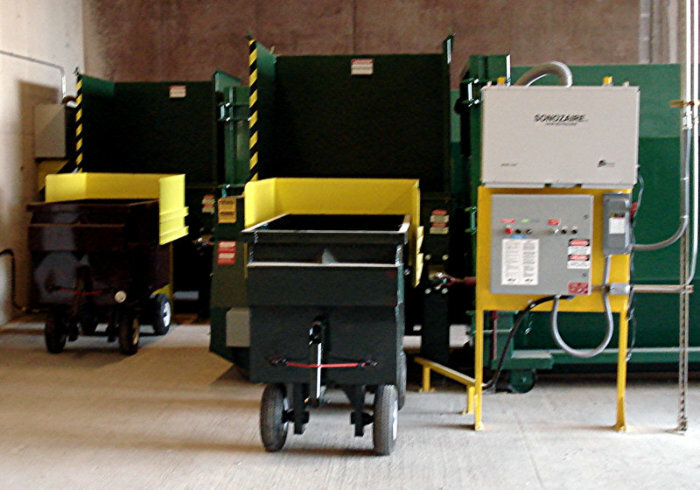 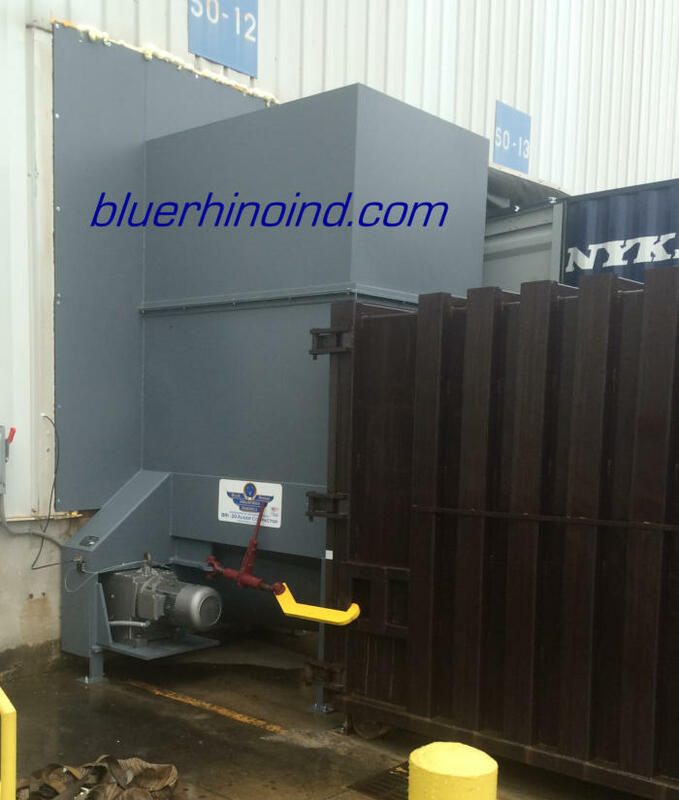 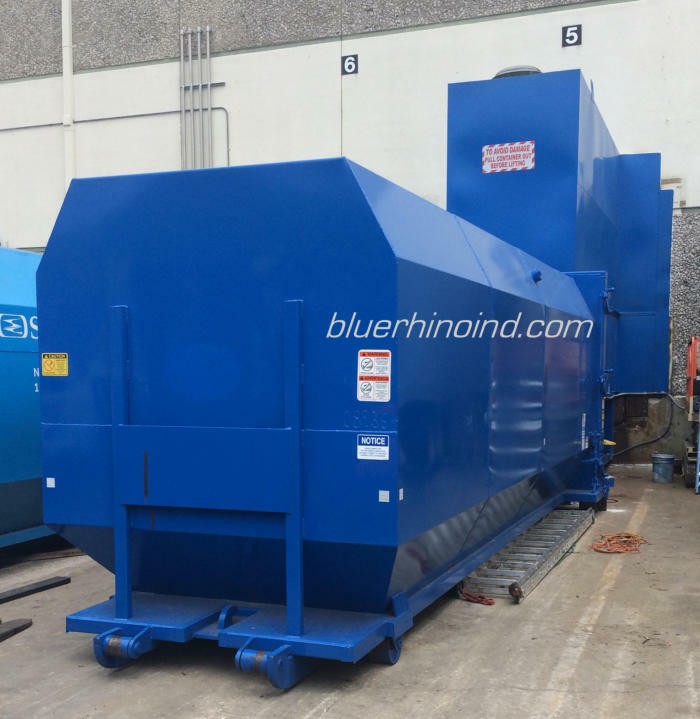 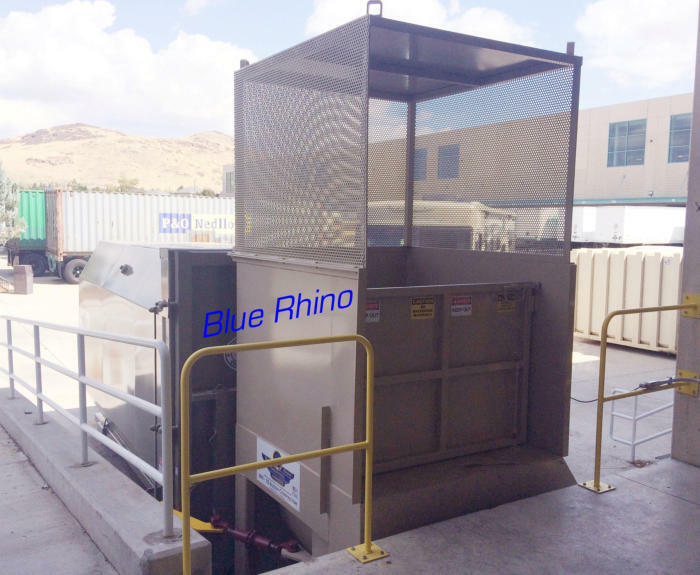 Ram packers and balers have large hydraulic systems with many components to fail, resulting in an oily mess and repair costs. 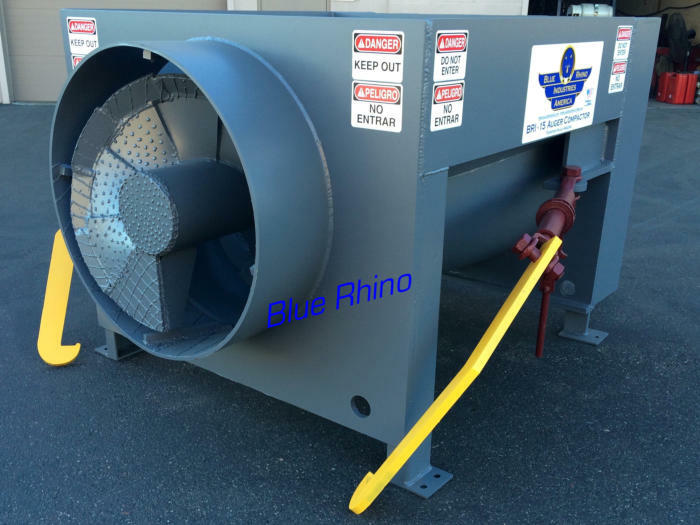 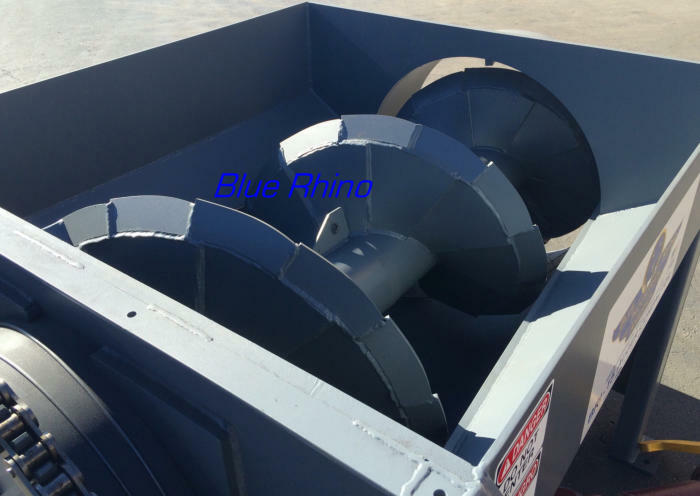 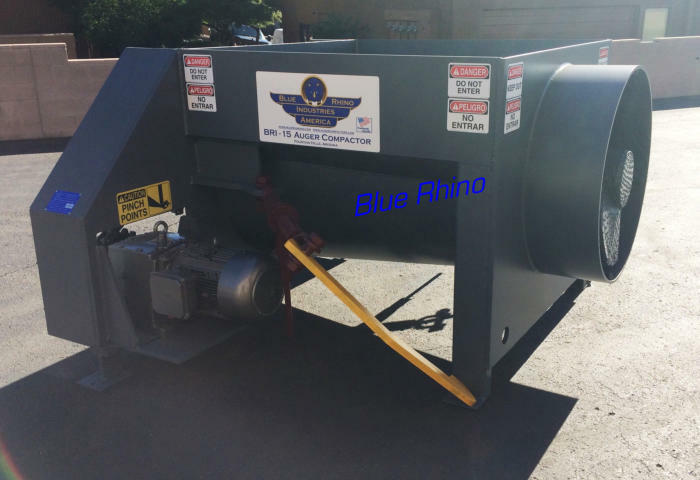 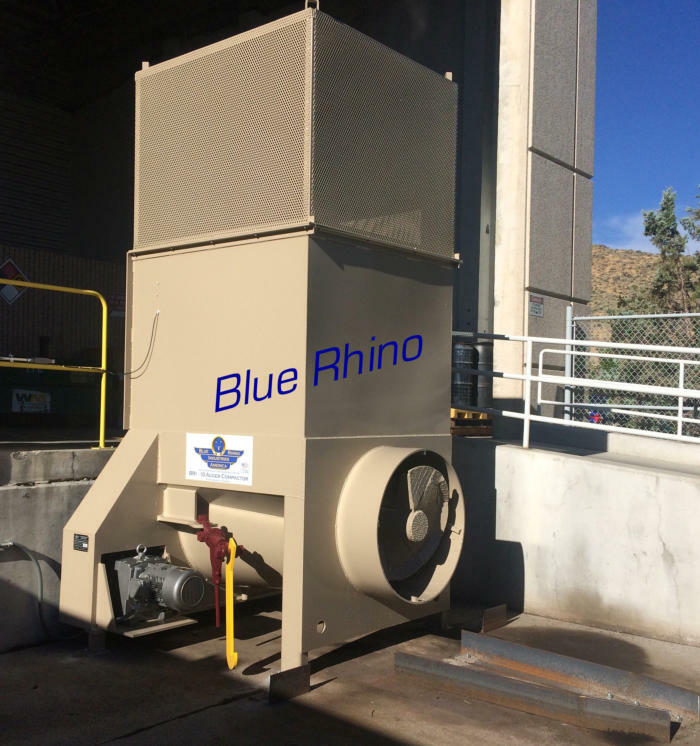 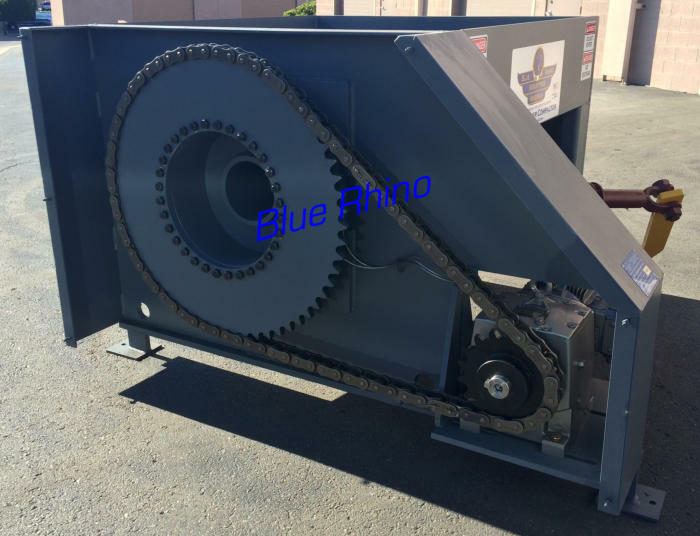 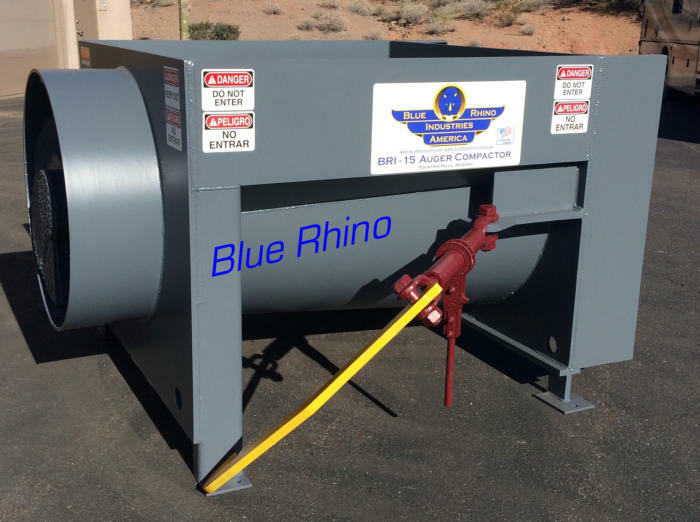 Our Auger Compactors have an electric motor, mounted to a speed-reducing gearbox, which is connected to the auger by heavy-duty roller chain and sprockets, controlled by a Variable Frequency Drive with “soft start” to reduce power spikes common at equipment starting This drivetrain is extremely robust and requires very little maintenance.